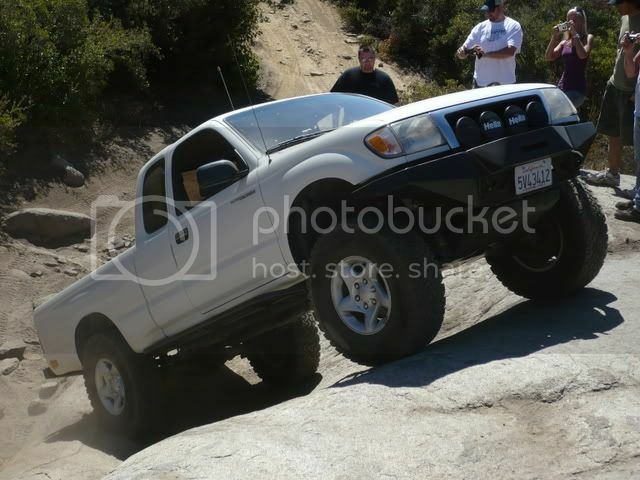 The Corral Canyon OHV Area is located near the town of Pine Valley. Within this area, the Corral Canyon and Bobcat Meadows campgrounds give you access to over 51 miles of OHV trails. 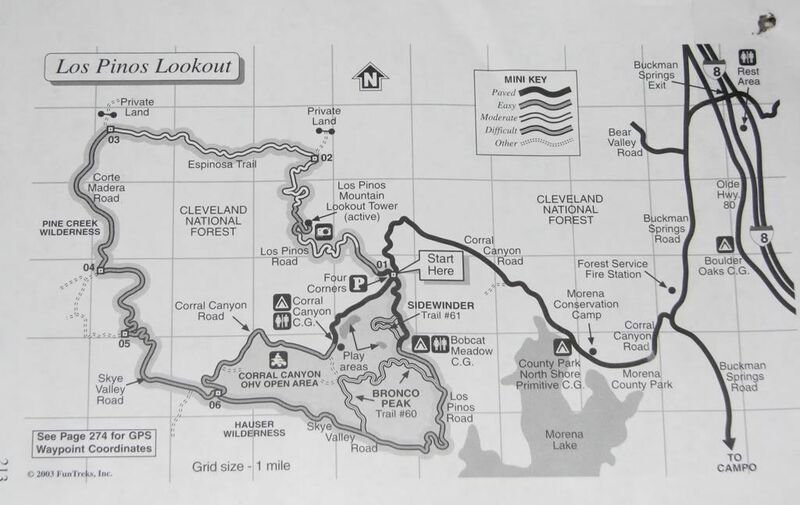 These trails, which run across the Cleveland National Forest, offer you a mix of awesome scenery and test of skills. This place has a beauty of its own and is a big draw with visitors to the Cleveland National Forest. Your drive through the Corral Canyon Open OHV Area will offer many scenic views of the valley below. The main attraction trails in Corral Canyon include Bronco Peak, Bronco Peak Connector, Gunslinger, and Sidewinder. As the trails vary in elevation it offers a lot of adventure to beginners as well as seasoned wheelers. The terrain offers many surprises and driving around in a laid back manner is not recommended. Be alert for oncoming vehicles at all times. If you haven't had to chance to put some racing stripes on your truck, Corral Canyon will do that for you. This is a very technical four-wheel drive trail. Oversize tires and a lift are recommended. There is a possibility of damage to full size trucks. Short wheelbase vehicles are preferred, but light trucks can make it through with no damage as well. This is a difficult trail in the Corral Canyon OHV area. It can be started at the campground, going through to Bronco Peak or run downhill from Bronco Peak to the campground. Oversize tires and a lift are required, with lockers required if running it uphill. Sliders are highly reccomended to avoid damage. The main feature is the steep wedge. If not done carefully, it can end up in a rollover. There are a few other off-camber situations and difficult terrain. This is a moderate trail in the Corral Canyon OHV area. There are several steep rock climbs and sharp dropoffs that make up most of the challenge. The trail is a good warmup for Bronco Peak and the connector. Body damage is unlikely. This is a stock friendly trail that connects with Skye Valley Rd. These run the perimeter of the area and are mostly graded dirt roads with only a few obstacles that a stock rig would need some patience on. These are great for a relaxing day with a visit up to the Fire Lookout Tower. Be sure to say hi to Firefighter Norm! This is a collection of trails. The main trail is rated easy while the off-shoots, of which there are 3 (A, B and C), are rated up to black diamond. The trails are narrow and lined with chaparral. Don't be afraid of a few pinstripes. A good spotter will keep you away from harm. Depending on direction, this will end at the intersection of Connector and Bronco Peak. Go east on I8 about 30 miles to Buckman Springs Road (Exit 51). Go south on Buckman Springs Road about 3.25 miles. You will pass Mountain Empire High School on your left and a Forest Service facility on your right. Shortly after passing the Forest Service facility there will be a right turn with signs for Corral Canyon OHV area. Take the right at Morena Stokes Valley Rd. and proceed past the military base. Continue a couple of miles up the mountain toward the fire lookout tower. As you reach a saddle of the mountain you will see the 4 Corners Parking area of Corral Canyon OHV Park.